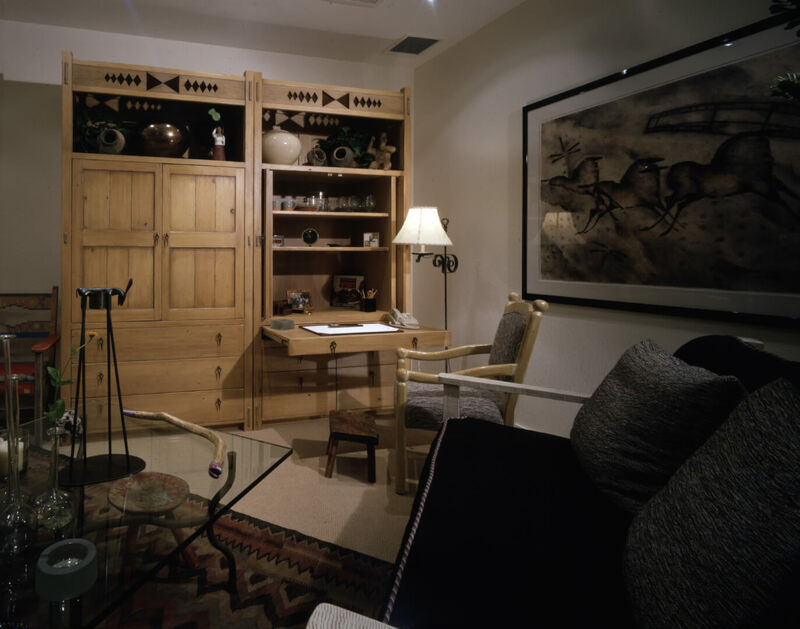 This pine office desk, television and bookcase featured pocket doors that could be opened for television viewing on the left and desk area to the right. The pull-out writing surface under the pocket doors was topped with a hard laminate. The finish was a lightly-distressed and antiqued natural pine.